I earn Rs10,000 per month. Which mutual funds will be suitable for incomes such as mine? Next comes an equity-linked savings scheme (ELSS). ELSS are equity funds that offer you Section 80c benefits that reduce your income tax (I-T) outgo. The only catch here is that your money will be locked away for three years. HDFC Long Term Tax Advantage, HDFC Tax Saver and Fidelity Tax Advantage are good choices. Finally, invest in some well-performing diversified equity schemes. The ideal way would be through systematic investment plans (SIPs), wherein you commit to invest a sum of money every month. Also, opt for auto debit with your bank account; the money will automatically get transferred from your bank account to your MF, and you shall not forget your date of investments. You may want to consider a mix of SIP and lump sum investment to strike a balance between regular investing and liquidity. DSP ML Opportunities, HDFC Top 200, Fidelity Equity Fund, Reliance Vision, Birla Sun Life Equity Fund are some options. Please suggest some top-performing diversified equity funds from which I can choose three to invest systematic investment plans of Rs500, each for three years. I’m willing to take high risk. 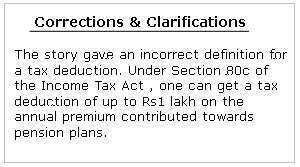 Would I be able to redeem my full amount in a scheme (principal + gain) after three years? DSP ML Tiger, ICICI Prudential Dynamic Plan, Reliance Growth and Birla Sun Life Equity are some of the options. Yes, all the above are diversified equity funds that are open-ended and have no lock-in period. So, you will be able to withdraw your entire investment—principal and gain—after three years. How good is DSP Tiger Fund for an investment horizon of three to five years and Reliance Power Mutual Fund for six months? Please suggest some funds that would suit my investment plan. Both the schemes enjoy a good track record. However, while DSP Tiger is a thematic equity fund that invests in the infrastructure sector, Reliance Power is a sectoral equity fund, which invests in only the power sector companies. Their sharp focus, especially Reliance Power’s, makes them riskier than diversified equity funds. Their fortunes will depend on the respective sectors that they track. If you are comfortable with their risk profiles, an investment horizon of at least three years bodes well. If your investment horizon is less than three years, avoid it. One last note: An investment of less than three years should be avoided for any equity fund, more so for Reliance Power. You must give sufficient time for equities to perform and make a difference to your portfolio; six months is too short a time frame. My father receives around Rs3,500 every month on the Rs5.5 lakh he has invested in a post office monthly income scheme (MIS). Should he switch to mutual funds to get appreciation on the principal amount invested apart from a monthly income? Mutual fund monthly investment plans do not assure you either monthly income or capital protection. They are debt-oriented hybrid funds and generally invest 80-100% in debt instruments and the rest in equity instruments. Compared with these, the post office monthly income scheme is risk-free and gives assured returns. Your choice between the two would depend on the quantum of risk you are willing to take. Will I have to pay tax on interest accrued on my cumulative three-year bank fixed deposit every year? The amount of interest earned (the accrued interest and interest paid) from fixed deposits is taxable every year, and is included in the taxable income of an individual. In other words, you are required to pay tax on the interest earned on your fixed deposit annually and not at the end of the term. For the purpose of deduction of tax deducted at source (TDS), all banks follow the same procedure as laid down as per Section 194A(4) of the Income-tax Act. If your fixed deposit earns an interest of more Rs5,000 (increased limit to Rs10,000 with effect from 1 June), the bank will deduct tax at the rate of 10% plus surcharge and cess. This limit is for the entire financial year and does not depend on the tenor of the deposits. As per existing provisions, capital gains on sale of property are exempt from tax if the same is reinvested within the prescribed period for purchasing or constructing a residential property. To avail of a tax exemption, does one need to invest the entire proceeds from the sale of the old house, or only the capital gains portion? As per Section 54 of the I-T Act, long-term capital gains on sale of property are exempt from tax if an individual purchases a residential property within a period of one year before the date of actual transfer of property, or two years after it. Long-term capital gains will also be exempt if the individual has constructed a residential home within a period of three years after that date. The entire amount of capital gain has to be reinvested to avail this exemption. In case the entire amount is not reinvested, the balance amount is taxable. It must be noted here that until the residential property is purchased or constructed within the stipulated time, the amount is required to be deposited in a special account with a nationalized bank (before the due date of filing of return). The amount needed to purchase, or acquire the residential property, should be withdrawn only from such an account. In addition, the property, on which exemption is availed under Section 54, cannot be sold before three years of its acquisition. My salary income plus other incomes come to less than Rs10 lakh. My income becomes Rs10.05 lakh after adding the short-term capital gains (security transaction tax paid) I made that year. But my total tax liability is still less than Rs2.5 lakh. Applying the rule of marginal relief, my surcharge works out to Rs12,000. Will I have to pay this surcharge amount for an annual income exceeding Rs10 lakh by just Rs5,000? I think this surcharge figure is the result of applying a flat tax rate of 30% on income of more than Rs10 lakh. But isn’t the tax on capital gains just 10%? How should the tax be calculated? Firstly, the I-T Act gives relief in cases where income exceeds Rs10 lakh marginally and the tax payable on this marginal increase in income exceeds the amount by which income exceeds Rs10 lakh. In such cases, the amount of surcharge is restricted to the amount by which your income exceeds Rs10 lakh. Secondly, in your case, your income is more than Rs10 lakh because of the addition of short-term capital gain on shares, where the security transaction tax is deducted, which are charged at a special rate—10%. So, your tax on Rs5,000, or short-term capital gain, will be Rs500. As the balance income does not exceed Rs10 lakh, no surcharge is applicable in your case. The construction of an apartment we bought in January last year is expected to be completed in December. The apartment and the loan taken for its purchase are jointly in the names of my wife and myself. We have been paying pre-equated monthly instalment (EMI) interest to the bank since March last year and EMI from September. Can we both claim tax relief for principal and interest payment in the assessment year 2007-08? Subject to the actual amount paid, can we both claim tax exemption up to Rs2.5 lakh every year? In which assessment year(s) can we claim tax relief on the pre-EMI interest amounting to more than Rs2 lakh, paid from March last year till date? First, the interest amount on the home loan can be claimed only after its completion. The total amount of interest before the completion of the house is divided into five equal instalments and claimed every year starting with the year of completion of the house. The payment of interest after its completion can be claimed up to Rs1.5 lakh in case you move into your house. If you rent out the house, you can claim the full interest amount without any ceiling. Second, in the case of a working couple, where both husband and wife contribute equally towards the purchase of a property and take a joint home loan, each one is entitled to claim deduction of interest on home loan up to Rs1.5 lakh if the house is self-occupied. If the property is let out, there is no ceiling on the interest that can be claimed as deduction. In addition, each one of you can also claim the payment of instalment money up to Rs1 lakh under Section 80c of the I-T Act.